Our system provides 4 core aspects to make a standardised solution. Why not standardise the way your organisation collects and manages all their assets, inspections and separate workstreams. 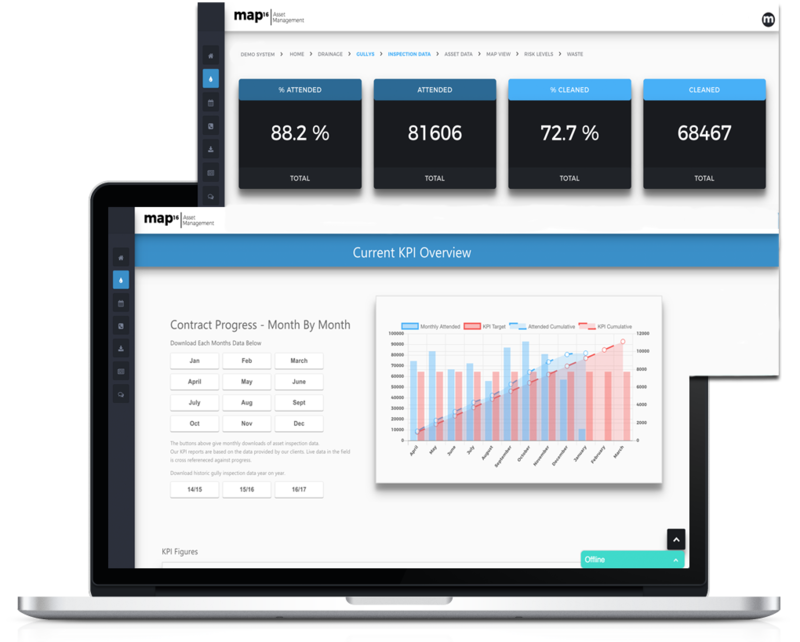 map16 provides a mobile data solution for any business need. 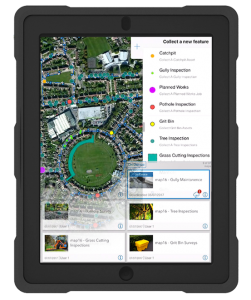 Map new features, collect new inspection records for all highway assets. Every aspect is streamlined to increase operational efficiency, and overall reducing the cost. Using innovative new technique to remove the need for work package creation and automation of asset revisit maps. Stay tuned over the next few weeks to read more detailed articles. 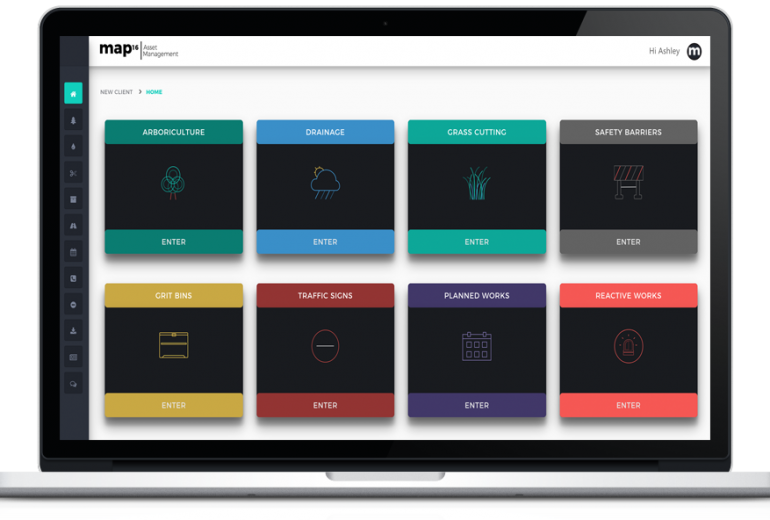 By creating a standard user interface, operatives working on drainage or safety barriers, will be familiar, and no extra training will be required. No matter what type of inspection data is required, we create a standardised approach to reporting. The focus of our inspection dashboard is to give clients the data they need at their fingertips. Export any data within two clicks. A well crafted dashboard, should automatically reduce the work carried out behind the scenes in any business. Defect reports or any other data available. All reports are designed for all data to be exported in any format required, including CSV, shapefile and geodatabase. 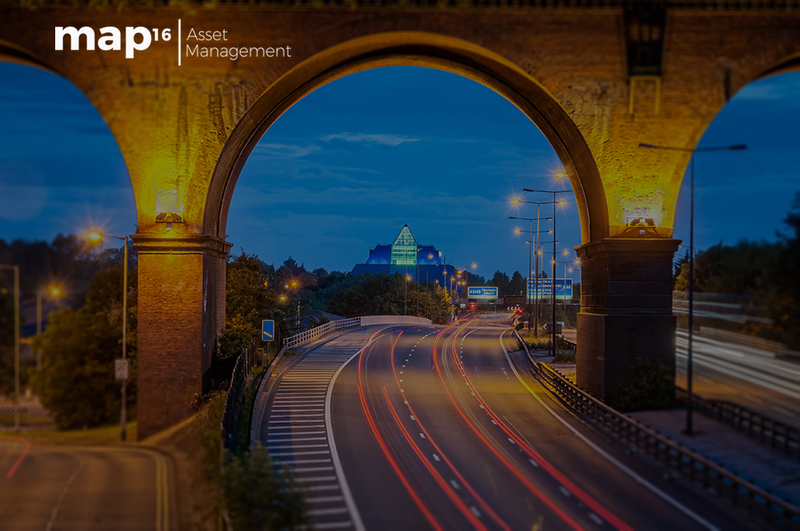 In any good asset management system there is the ability to interrogate core asset data. 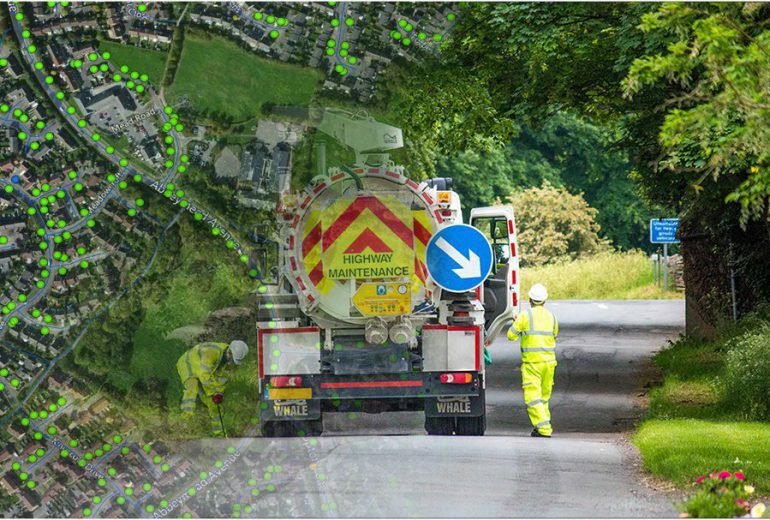 Here at map16, we provide a standardised approach to asset data analysis from traffic signs to highway gullies. Customised to meet the need of every client. All reports are designed to be exported. No need to query datasets, everything has been created for you. 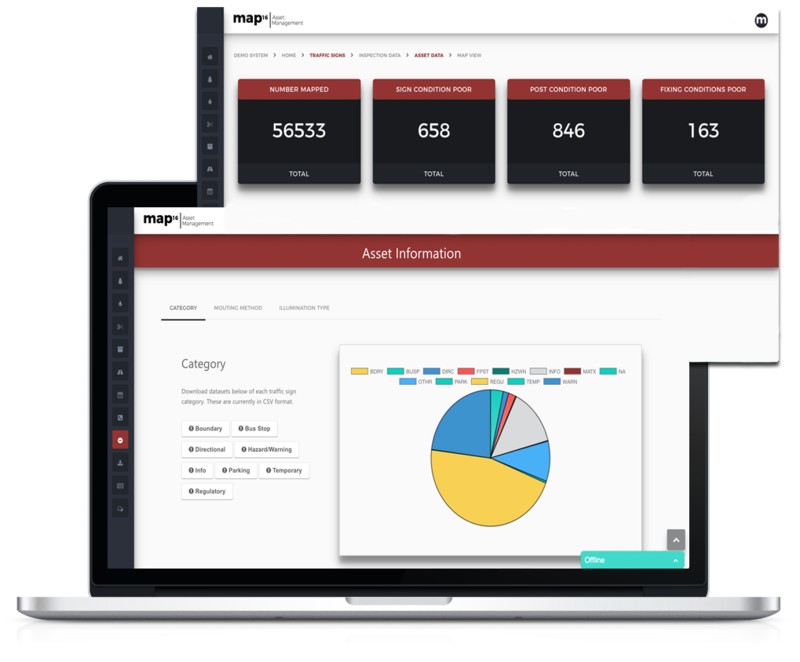 Our bespoke dashboards create a standardised view for every asset. Asset data – No limit on asset numbers or types, point, polygon or polyline. 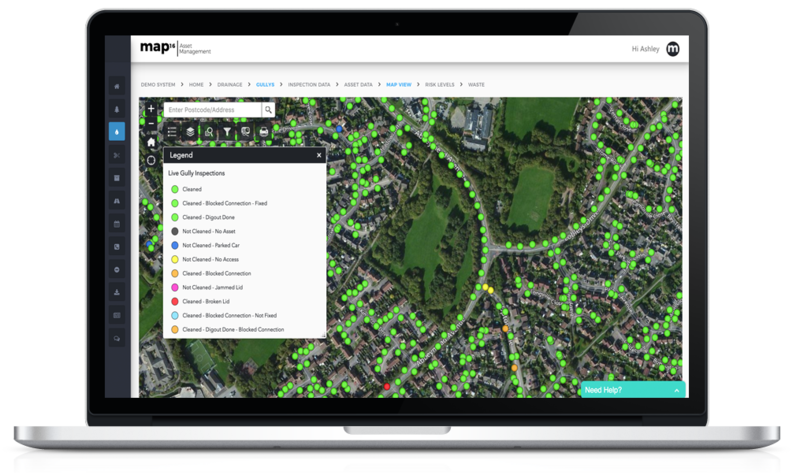 Our standardised map views have the same tools through every system, asset or work stream.